Traditional Chinese Medicine For The Hot Summer Months: Useful Or Unsafe? In China, Saturday marked the start of the hottest part of summer. Many Chinese people turned to traditional Chinese medicine treatments at local hospitals, where they are treated with acupuncture and herbal medicine in the hopes of preventing summer diseases. For most people in China, traditional Chinese medicine (TCM) plays a major role in their day-to-day medical treatment. Many believe that summer heat is a seasonal external factor that can have an affect on their overall physical, spiritual, and emotional well-being. "Summer in TCM is the season associated with the heart and the small intenstine," writes Emma Suttie, an acupuncturist who keeps a blog on Chinese medicine. Summer heat in excess can cause disease or imbalance, so Suttie offers tips: drink plenty of water; wake up earlier in the morning; rest at midday; and refrain from anger, as anger exacerbates internal heat. On her blog, "Traditional Wisdom for Modern Living," Suttie describes how she was first introduced to traditional Chinese medicine as a teenager, after Western doctors weren't able to help her severe menstrual cramps and had even suggested a hysterectomy. "This is when my mother took me to an acupuncturist named Ping Ping," she wrote. "It was a life changing experience. She listened to me. She asked me questions that no doctor had ever asked about not only my cramps, but every part of me, physical, psychological, spiritual... After a few months of acupuncture and herbs, the cramps that had plagued me for years were gone." Traditional Chinese medicine has been the primary mode of medical treatment for a large part of the Chinese population for over 3,000 years. It originated nearly 5,000 years ago and is rooted in Taoist philosophy. In recent decades, the use of TCM has been offered as an alternative to, and often in conjunction with, Western medicine — the growing industry has increased its monetary value to hundreds of millions of dollars every year, according to the NIH. There are several key components of TCM that are documented in the ancient medical text Huang Di Nei Jing (Inner Canon of the Yellow Emperor) — all taking a holistic approach, one in which nature plays an essential role, and humans are interconnected with all elements of the world. Balance is embodied through the yin-yang theory, and the energy or life force of qi that flows through the body through meridians. Practitioners of TCM believe that the five elements of fire, earth, metal, water, and wood are crucial in understanding how the body works. Despite all the seemingly positive effects of traditional Chinese medicine, especially the spiritual and emotional, there is also limited scientific evidence of its efficacy — as well as a lack of proper labeling, standardization and purity of materials used in medication that might cause adverse effects. Many inaccurately labeled Chinese medications, which may contain illegal materials, slip under the watch of the FDA without being properly assessed. 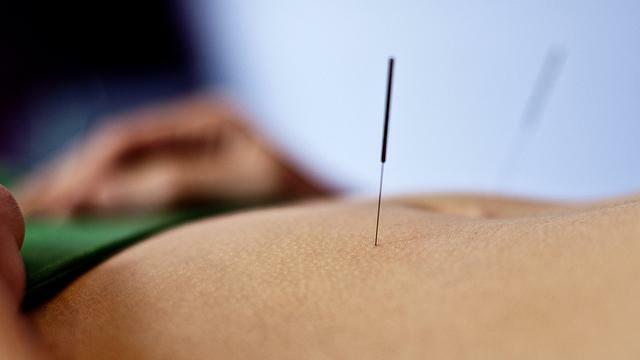 Acupuncture, if practiced correctly, has the largest body of evidence with regard to scientific efficacy, while some Chinese herbal remedies may not be safe, the NIH states. A study that tested the effects and potential hazards of Chinese medication states, "Some recent textbooks of TCM still recommend formulas containing various animal tissues such as tiger bones, antelope, buffalo or rhino horns, deer antlers, testicles of the dog, bear or snake bile. Usually, animal tissues are combined with medical herbs." At Murdoch University in Australia, scientists analyzed various Chinese medications using a method called high-throughput sequencing of DNA. The procedure was able to identify what types of animals were used in the various powders, pills and herbal teas. The researchers found traces of goat, sheep, deer buffalo, cow, and toad. They even found the DNA of an endangered Saiga antelope, which is protected under the Convention on International Trade in Endangered Species. When it came to plants in the medicinal samples, the researchers found mostly mint and liquorice root — but they also found a poisonous herb called Ephedra, which is banned in the U.S. While some, like Suttie (and a large part of the Chinese population) live daily by traditional Chinese medicine values, many remain skeptical. "...[T]hough these insights might inform good medical practice, or the ways in which we treat our own bodies, they're not a basis for science, or for reproducible treatment," writer James Palmer wrote in Aeon. He describes the theories of TCM as "beautiful and intricate," but states that they "don't correspond with the messy realities of bodies cobbled together by the long randomness of evolution."